Super excited to be linking up with Bonita at Learning Whole Heartedly for a Teacher Tested Technology Link Up! I want to share with you some technology search engine tools that students use when doing research and that make me worry less about little second graders stumbling upon inappropriate things. Last year, I used to be able to fine tune the search setting when students used Google Images on iPads so it was automatically protected and age appropriate. This year, that setting seems to be changed! Currently my students are searching for images to use with their iMovies about their Real World Problem research. I looked though many different search engines and picture sites and these are my two favorites. My first tried and trusted search engine is Pics 4 Learning. This is a great site for nature pictures - animals, extreme weather - that sort of thing. However, if a student is looking for more current pictures or pictures with people in them (like poverty or hunger) my go to website is Safe Search Kids. This is an extension of Google Images, except with the peace of mind that they won't find inappropriate things - even if they try! Since the students are accessing these websites on the iPads, you may be wondering how I prevent them from just going into Safari or Chrome and typing their search in the URL. Easy. I tell the students the way to get to the image websites is through the QR code reader. 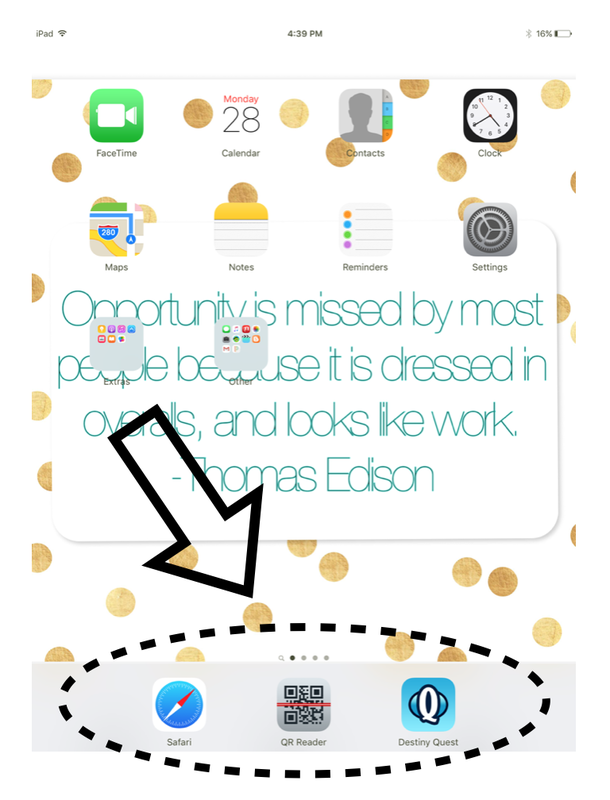 I have the QR code put on the "dock" or home bar on the bottom of the iPad home screen. Then I show them how to take a picture of either QR code and then open the site in Safari (using the share or options button ... you know the box with the arrow popping out as my kids say). Once they open it in Safari they can search for images on the site and save them to the iPad to use in their iMovie. For some reason, having them go through the QR readers prevents them from searching directly from the browser, even though they totally do search directly from the browser when on the computer! Speaking of searching directly from the browser, did you know on Google Chrome you can change the default search engine? This is a miracle magic changer for me. If you go into setting and under Search Engines, you can add a kid friendly search engine like Safe Search Kids or Kidz Search. 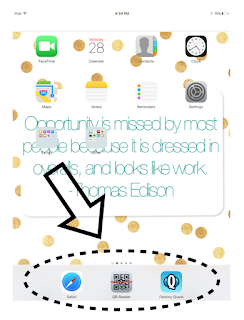 Then when students search something from the browser, they get sent right to the kid friendly search engine. 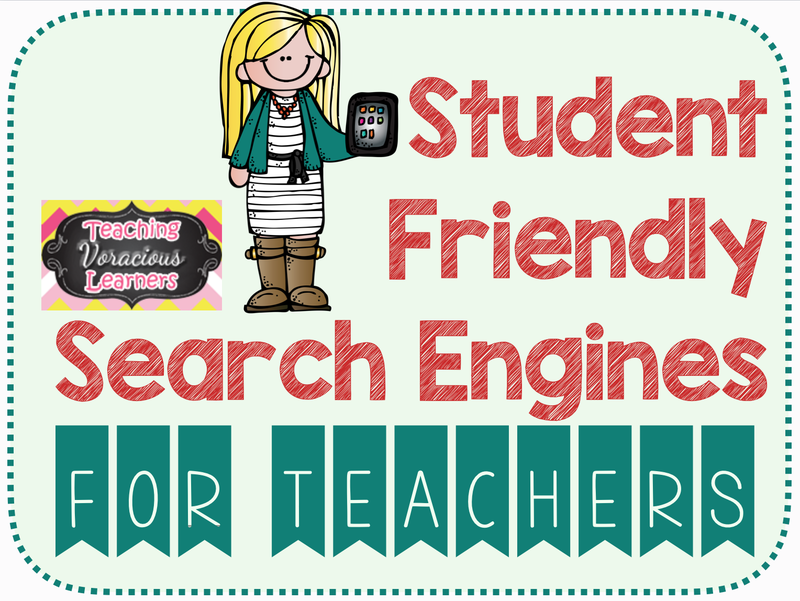 Using these student friendly search engines has made students more independent and made me more confident in them using the search engines independently! Win win! 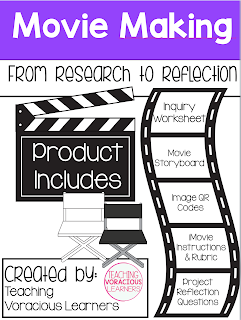 Grab these QR codes in my Movie Making Kit on TPT!